The Best Hollywood Blogs from thousands of Hollywood blogs in our index using search and social metrics. We’ve carefully selected these websites because they are actively working to educate, inspire, and empower their readers with frequent updates and high-quality information. 2.19 Magic Image Hollywood Magazine | Make it happen! Hollywood newsletter is a comprehensive summary of the day's most important blog posts and news articles from the best Hollywood websites on the web, and delivered to your email inbox each morning. To subscribe, simply provide us with your email address. LA & NYC About Blog Follow to keep up with updates on Juicy celebrity gossip, the latest entertainment news, exclusive celebrity pics & videos - plus the hottest celebrity fashion & beauty. Hollywood Life is your celebrity news, gossip & style BFF. Facebook fans 5,434,384. Twitter followers 348,503. Los Angeles, CA About Blog TMZ, Thirty Mile Zone, is one of the most cited entertainment news sources in the world. It is the first entertainment news magazine to cover Hollywood as it really is … and celebrities as they really are. It has consistently been credited for breaking the biggest stories dominating the entertainment news landscape and changing the way the public gets their news. Facebook fans 7,256,994. Twitter followers 4,786,626. Los Angeles, CA About Blog Since 2004, Hollywood's most sassy website has been delivering the juiciest celebrity gossip. The blog is The go-to source for daily happenings in Hollywood. Written by the internet's most notorious gossip columnist, Perez Hilton (Mario Lavandeira). She dishes up the juiciest celebrity gossip on all your favorite stars. Facebook fans 2,018,938. Twitter followers 6,584,338. Facebook fans 1,342,359. Twitter followers 40,259. About Blog The Shade Room is the leading black-owned independent media company covering entertainment and celebrity news. Subscribe to keep up with celebrity news, entertainment news and gossip. Facebook fans 4,250,403. Twitter followers n/a. United States About Blog Women and Hollywood educates, advocates, and agitates for gender parity across the entertainment industry. The site was founded in 2007 by Melissa Silverstein. She is a writer with an extensive expertise in the area of women and Hollywood. Facebook fans 17,035. Twitter followers 14,117. Hollywood, California About Blog Hollywoodnews.com brings unique and fresh entertainment news to the industry and world community. Our team of Hollywood insiders bring to the fans entertainment news about awards, fashion, lifestyles, movies, music and television, access to red carpet and live events, and one-on-one in depth interviews with stars and celebrities. In addition, we are able to take you behind the scenes – backstage, on set, private parties and many other inside pathways of Hollywood. Facebook fans 812,285. Twitter followers 58,825. Facebook fans 355,585. Twitter followers 718,186. Los Angeles, CA About Blog Covering the greatest heroes of the big and small screen ranging from comic book legends to iconic characters in cinema. Facebook fans 390,194. Twitter followers 33,386. Los Angeles, CA About Blog Top independent celebrity news network with access to breaking celebrity news, celebrity entertainment news, rumors, latest celebrity gossip and Hollywood news. Facebook fans 101,929. Twitter followers 588. About Blog Toofab.com features latest entertainment news for TV, Movies, Music. Red Carpet Fashion and Celebrity Style. It is dedicated to pop culture news fanatics. The latest and greatest on the buzziest celebrities, TV shows, movies, music and fashion. We've got our finger on Hollywood's pulse. Facebook fans 159,335. Twitter followers 34,995. About Blog The JoBlo Movie Network features the latest movie trailers, posters, previews & interviews all in one place! Updated daily with the latest news from Hollywood! Facebook fans 439,002. Twitter followers 45,616. Austin, TX About Blog Film School Rejects is a website about movies, a disruptive influence within the world of Hollywood. It also owns and operates One Perfect Shot and Nonfics. Facebook fans 42,802. Twitter followers 80,367. Berlin, Germany About Blog FirstShowing is a professional web-based destination providing complete media coverage of mainstream and independent movies, the latest on the movie going experience, and the connection between Hollywood and the audience. We only cover theatrically released films, and updates from film festivals all over the world. Follow us to keep up with the latest movie trailers, interviews, reviews, hype, and everything about the cinematic experience straight from Hollywood and beyond. Facebook fans 19,034. Twitter followers 42,968. Los Angeles, CA About Blog I interview celebs from music,film,stage,TV and make notes on the happenings. Hollywood About Blog The Anonymous Production Assistant is a lonely PA, struggling to make her or his way in Hollywood. It offers advice, complaints, and occasionally job leads. Facebook fans 3,978. Twitter followers 3,311. About Blog "Access Hollywood" is a nationally syndicated daily entertainment news show, now in its 21st season. It delivers the most comprehensive coverage of entertainment news and personalities on television, featuring in-depth celebrity interviews and behind-the-scenes accounts of the most important events in Hollywood. Facebook fans 1,829,471. Twitter followers 992,003. Denver, CO About Blog Hollywood in Toto covers entertainment from a conservative perspective, offering smart movie reviews and commentary not found on other news sites. Facebook fans 835. Twitter followers 7,747. 19. Magic Image Hollywood Magazine | Make it happen! Los Angeles, CA About Blog Magic Image Hollywood Magazine is a Bi-monthly Magazine serving the Entertainment Industry as an important information resource and marketing tool to promote both new and established talent. Facebook fans 8,014. Twitter followers 735. Los Angeles, CA About Blog Hollywood World Magazine represents an idea “Hollywood” embodied by “The American Dream” as imagined by our forefathers, which is the blueprint for our success. Facebook fans 9,656. Twitter followers 12. Hollywood, CA About Blog The most watched entertainment news program in the world! Get the Latest Celebrity Gossip, Hollywood News, Red Carpet Fashion and Events, Celebrity Trends, Movie News, Photos and Videos at ET Online! Facebook fans 4,822,580. Twitter followers 1,450,046. Los Angeles About Blog Welcome to Young Hollywood! Discover the hottest new trends and watch exclusive interviews and awesome videos with all your favorite Young Hollywood celebrities. Whether you're obsessed with music, TV, fashion, film, sports or lifestyle, we've got you covered! Facebook fans 1,221,657. Twitter followers 2,626,420. West Hollywood, California About Blog Hollywood.TV is your source for all the latest celebrity gossip and videos of your favorite stars! It is one of the top celebrity news providers in the world. Follow to keep up with all the latest celebrity news, interviews, gossip, and candid videos to viewers all over the world. Facebook fans 213,712. Twitter followers 211,603. 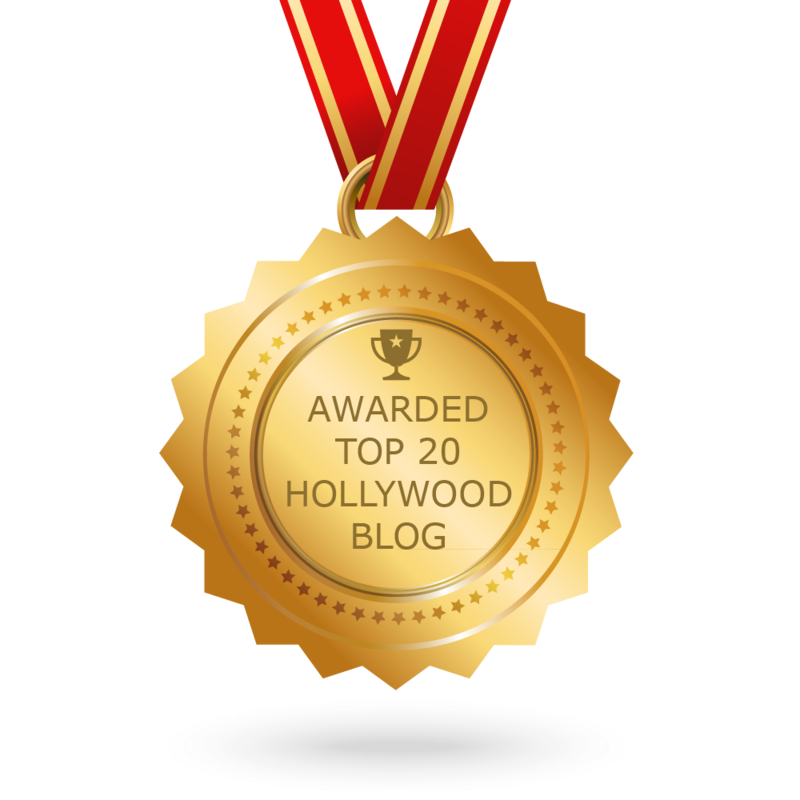 CONGRATULATIONS to every blogger that has made this Top Hollywood Blogs list! This is the most comprehensive list of best Hollywood blogs on the internet and I’m honoured to have you as part of this! I personally give you a high-five and want to thank you for your contribution to this world.